Artist’s conception of modern Mars (left) and a younger, wetter Mars. Credit: NASA’s Goddard Space Flight Center. Today, Mars is dry, barren, and seemingly devoid of all life. The planet’s surface, however, is littered with surfaces that must have been carved by water from rivers, streams, lakes, and oceans. If this is the case, what happened to Mars’ water? When did all that water disappear? These sort of questions keep some scientists awake at night and a new study makes this mystery even harder to crack. According to American researchers from NASA, 3.5-billion-year-old rocks retrieved from the floor of Gale Crater and analyzed on-site by the Curiosity Rover are devoid of carbonate. This idea was initially put forward by NASA researchers who studied data retrieved by orbiting probes that watch Mars from hundreds of miles above its surface. This means that the concentration of greenhouse gases like CO2 or methane was up to tens of thousands of times lower than climate models require to warm Mars to a level that can sustain liquid water for a long period of time. Long enough to have flowing or standing water carve all those famous channels and canyons, at least. Some of the rocks analyzed by Curiosity include mudstones, siltstones, sandstones and other sedimentary rocks. On Earth, greenhouse gases naturally react with minerals to form carbonate, and scientists don’t expect this chemistry to be any different on Mars. It could be that there was carbonate but it was later washed away by acid rain. But that’s unlikely since the rocks show no signs of an acid attack, the researchers note. Maybe other greenhouse gases like sulfur dioxide or nitrous oxide were in high enough concentration to warm Mars, but this too falls short under scrutiny. The findings published in the Proceedings of the National Academy of Sciences don’t dispute the fact that Mars was wet during its history — that’s undeniable given the sedimentary evidence. It’s just that we don’t know yet what mechanism could have kept the planet warm enough to sustain liquid water for long periods of time. We have a pretty good idea, however, what mechanisms were responsible for the water’s depletion. 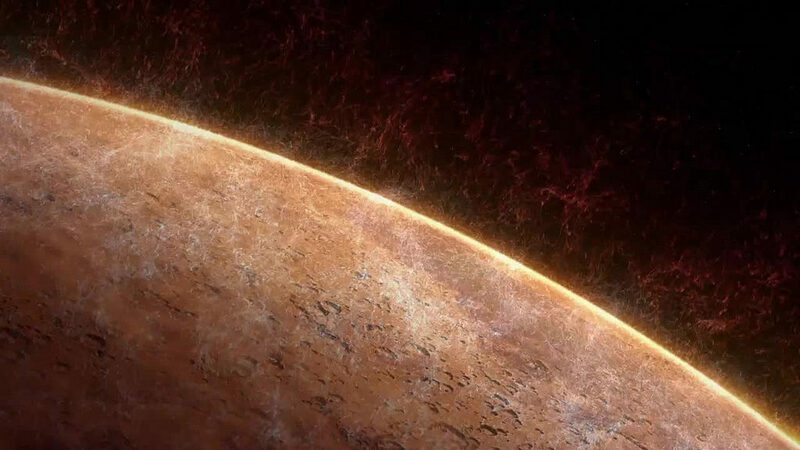 Hydrogen in Mars’ upper atmosphere comes from water vapor in the lower atmosphere. Credit: NASA/GSFC; CU/LASP. Another recent study, this time made by researchers at University of Colorado, Boulder, found that Mars’ atmosphere has a sort of atmospheric ‘escape route’. 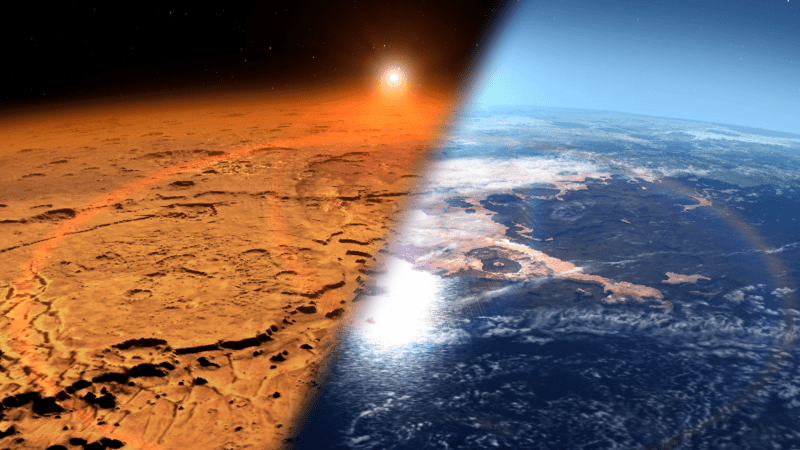 According to data gathered by Mars Express, water molecules float higher up in the atmosphere during Mars’ warmer seasons allowing them to escape easier into space. On Earth, ‘cold traps’ keep the water close to the planet’s surface.